While some seniors are able to afford private pay care, the cost of long-term care will wipe out the savings of all but the wealthiest families in a matter of years. Those who have planned ahead by purchasing long-term care insurance have a degree of certainty and peace of mind, knowing that they have a lesser need to rely on other sources in the future. Unfortunately, many can’t afford the high cost of long term care insurance or worse, because of age or medical condition cannot qualify for long term care insurance altogether. If you do have long-term care insurance, you should be aware of what your policy covers. Many policies have high deductibles or provide for only a short period of care in a facility. In fact, many who have long-term care insurance still have to resort to Medicaid to pay for their care. Another option to pay for care is Medicaid. A joint federal-state program, Medicaid provides medical assistance to low-income individuals, including those who are 65 or older, disabled or blind. Medicaid is the single largest payer of nursing home bills in America and serves as the option of last resort for people who have no other way to finance their long-term care. Although Medicaid eligibility rules vary from state to state, federal minimum standards and guidelines must be observed. While Medicaid eligibility with respect to long-term care was not difficult in the past, there has been a steady drift towards more complex and restrictive rules, the latest being the Deficit Reduction Act of 2005 which went into effect in 2006. These changes have resulted in complex eligibility requirements for those in need of Medicaid benefits. It’s no longer as easy as reviewing one’s bank statements. There are a myriad of regulations involving look-back periods, income caps, transfer penalties and waiting periods to plan around. As the 2017 Congress wrestles with a replacement for the Affordable Care Act, the future of both health care and Medicaid as an option is up in the air. We can help you plan in advance so that if and when you need nursing home care, you can qualify faster and preserve many of your assets. While every client’s situation is unique, there are a few things most individuals can do when they participate in advanced planning. These include irrevocable trusts, gifting and asset transfers, and strategic “spend-downs” to qualify for Medicaid. Please keep in mind that generally, these strategies currently must be used five years prior to any nursing home stay in order to qualify for MassHealth (Medicaid). Time is of the essence in crisis situations. If you or a loved one has been admitted to a nursing home or a nursing home stay is imminent, there are last-minute planning tools to help protect a healthy spouse and/or some of your assets. 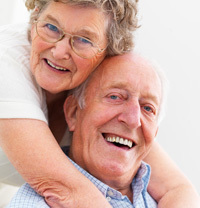 Our law firm can help you and your family avoid the financial ruin associated with the high cost of long-term care. Contact us today for a consultation to start the process of understanding the issues surrounding Medicaid eligibility and to implement the planning and/or application process. 43% of Americans who turned age 65 in 1990 will enter a nursing home at some point in their lives. Further statistics from the New England Journal of Medicine indicate that 52% of all women and 33% of all men who are now 65 will spend their last years in a nursing home. A private nursing home room in Essex County costs an average of $118,625 annually, and a semi-private room costs an average of $110,807 annually. The average stay of a resident in a nursing home is 2.5 years. Thus, the average expense can total more than $275,000 for a semi-private room over an individual’s lifetime. A single individual does not qualify for MassHealth benefits until they have less than $2,000 of countable assets.